Jefferson spent much of his life “putting up and pulling down,” most notably during the forty-year construction period of Monticello. Influenced by his readings of ancient and modern architectural writings, Jefferson gleaned the best from both his reading and from his observations in Europe, creating in his architectural designs a style that was distinctively American. 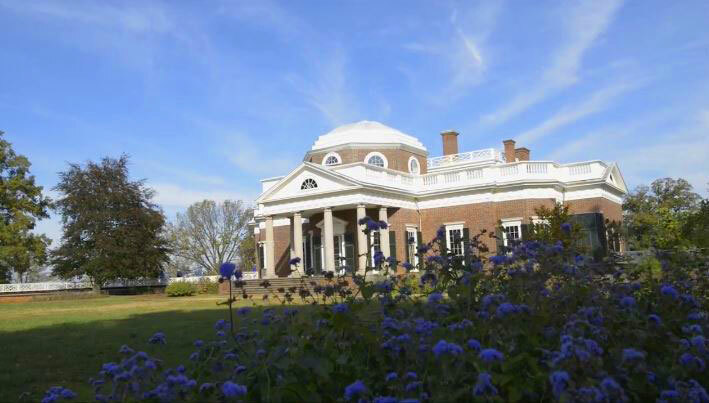 In this month’s Revolving Bookstand, Monticello’s Architectural Historian, Gardiner Hallock, recommends three “must reads” for anyone interested in Jefferson’s architectural influences and his home Monticello. Delve deeper into the design of Monticello with this illuminating collection of short essays and accompanying measured drawings of Monticello produced by the Historic American Buildings Survey. Annotated by Monticello’s former Director of Restoration William Beiswanger, the essays draw on decades of research to illustrate many of Jefferson’s architectural inspirations and include revealing quotes about the house made by Jefferson’s contemporaries. The result is a truly wonderful architectural history of this World Heritage site and it is a must have for anyone who loves Monticello. Colonel Isaac Coles wrote that when it came to architecture Thomas Jefferson considered 16th-century Italian architect Andrea Palladio’s The Four Books of Architecture to be “the bible.” Coles also noted that Jefferson recommended he “should get it and stick close to it.” While Jefferson’s architectural influences were wide ranging, the core proportions and principal ornamentation found at Monticello often come directly from Palladio’s interpretation of classical Roman sources. A source of inspiration for almost 450 years, The Four Books of Architecture remains relevant to the today’s architects and designers. Interested in why Jefferson was so passionate about Palladio? Robert Tavernor’s book introduces Andrea Palladio, explains the Italian roots of Palladianism, and traces its spread into the British Isles in the 17th and 18th centuries. Concluding with a chapter on Thomas Jefferson’s unique interpretation of Palladio’s work as well as Palladianism in the early United States, this book is a great read for those interested in the origins of Jefferson’s architectural style. 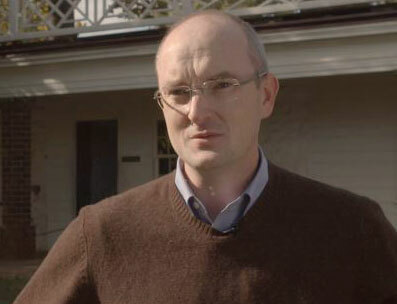 Gardiner Hallock is the Architectural Historian at the Thomas Jefferson Foundation. Currently he is managing the digital and physical restoration of Monticello’s Mulberry Row as well as helping to research, plan, and implement restoration projects in the house. Prior to joining the Foundation, Mr. Hallock was a founding principal at the historic preservation consulting firm Arcadia Preservation, LLC. He also served as the Director of Architectural Research at the Montpelier Foundation and the Restoration Manager at George Washington’s Mount Vernon Estate and Gardens.